Golden Gate Sign Company is known for our high-quality, cost-effective services. For more than 40 years, we've performed the sign design, fabrication, installation and maintenance services that customers across our Northern California sign service area require. It's our company's mission to provide top-quality signs that meet your company's commercial and aesthetic requirements, and we employ a talented and enthusiastic staff who will tailor-make your signage to your exact specifications. San Francisco: We provide premier signage design and fabrication for San Francisco businesses. Northern California: We're the premier signage development and fabrication service in Northern California. 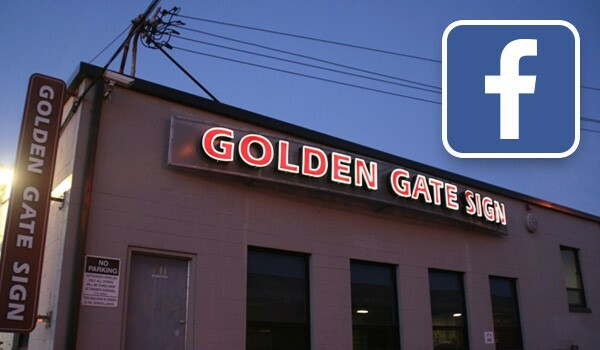 Oakland: Oakland's businesspeople trust Golden Gate Sign Company to deliver results. Bay Area: Golden Gate Sign Company provides top-quality service to companies throughout the San Francisco Bay Area. San Jose: We're proud to serve San Jose's businesses and facilities. San Mateo: Trust our company for a smooth and seamless San Mateo signage creation process. North Bay: North Bay's businesspeople consult us for the signage that advertises their companies with pride and panache. South Bay: Try Golden Gate Sign Company for South Bay signage. East Bay: Contact us about our high-quality, low-cost East Bay sign design and creation services. Walnut Creek: We're the top name in Walnut Creek signs. Brentwood: Let our business maximize yours. Want to learn more about to Golden Gate Sign Company? Click on any of the above links to learn more about our sign service area, or call or fill out our no-obligation request form today.